As reserves of fossil fuels decline and the world tries to tackle the problems of greenhouse gases, the EU wants to shift to a low carbon economy. On Tuesday MEPs on the Environment Committee called for improvements to the emissions trading system (ETS) to help meet EU targets for a minimum reduction of 80% in CO2 emissions by 2050. The non-legislative report, by British Liberal Chris Davies broadly supports the European Commission's "Roadmap for moving to a competitive low carbon economy in 2050", but says policies are needed to increase investment in green technologies. It calls specifically for a "significant" number of ETS allowances to be set aside and for changes to the rate at which they are taken out of trading. 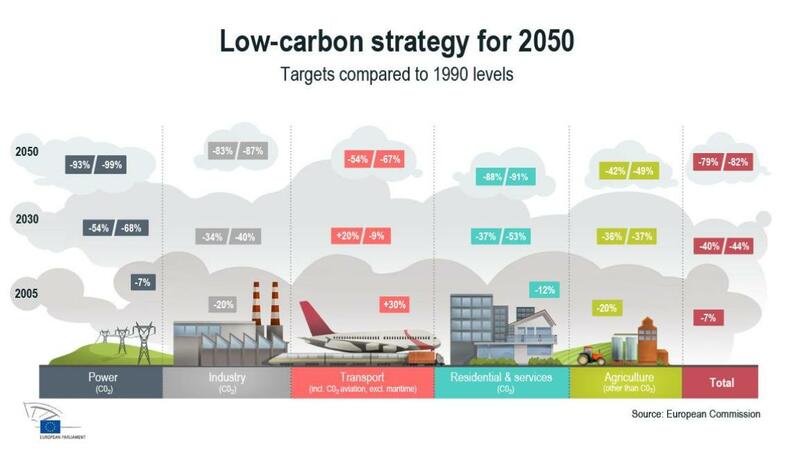 The "roadmap" includes plans and targets for those sectors responsible for most European emissions - power generation, industry, transport, buildings, construction, agriculture - to move towards a low carbon economy. Check out our infographic for more details about the EU's CO2 reduction targets. The report is scheduled to go to plenary in March.